We all know that the key to treating any kinds of pigmentation is early intervention. If you leave it and the melanin leaches into the dermis, it becomes known as dermal pigmentation. The deeper the pigment, the more difficult it is to treat. So as soon as we discover any discolouration on our skin, we should quickly treat it. In the early days, I used to sell a French organic skincare brand, whose skin whitening range claimed to reduce dark spots. However, all the customers who bought this range did not see any visible improvement, and they never came back again. I also heard from many of my customers that they went for laser treatment to remove pigmentation, only to find it come back again. I was disheartened. Maybe there is no effective treatment to lighten pigmentation? Is there no natural skincare, which is non-toxic, safe and gentle enough for dull and sensitive skin? I was wrong. It was only at the end of year 2016 that I met Dr Annalisa Gramellini, the CEO and Biologist of World of Beauty Italy. She taught me that the first step to solving pigmentation problem is to do detoxification before starting any form of treatment. After that, I continued to learn from her in greater depth about the various different types of pigmentation, how each type could be solved by a specific professional treatment, which skincare products should be used daily at home and of course, all about the various natural ingredients that are beneficial to us. Below are some of the skincare products, which Dr Annalisa recommended for treating pigmentation in the comfort of your home. I have tested them on myself and so have a few of my customers. Yes, it works but you need to be patient, and you will get best results when combining with professional treatment by World of Beauty Italy. Before starting the anti-pigmentation professional treatment, it is necessary to do detoxification and anti-inflammatory professional treatment first. At home, you should start a detox skincare routine by using VDI Detox Serum followed by Jeunesse Recovery Cream. After 30 days of detoxification, you may start an anti-inflammation skincare routine by using DNADerm MMP Remedy Serum, followed by Jeunesse Recovery Cream for another 30 days. At the same time, lifestyle and diet changes are necessary. So, stop smoking, sleep early and re-evaluate your diet to reduce inflammation – move to a high fibre, low sugar, fresh food diet. DNADerm MMP Remedy Serum is an unique formulation that gives the skin all vital nutrients for a healthier skin. Suitable for all types of skin, especially those suffering from irregular texture and lack of radiance. Use as a day and night serum to fight actively against matrix metalloproteinase (MMP), involved in the degradation of cell matrix. It provides the skin with a powerful source of revitalization, able to reduce inflammation and lighten dark spots, while strengthening skin defence system to prevent skin disease caused by sun exposure. How to use : Apply morning and evening, and followed with Jeunesse Recovery Cream. My verdict : Whenever I sleep late, I will wake up with tired looking eyes, dark circles and puffy eyes. It is a one drop wonder to lighten my dark circles and remove the puffiness almost completely with just a single application in the morning. It also reduced the redness of the one big pimple on my nose, making it almost disappear completely by the second day. Jeunesse Recovery Gel is a natural jelly serum that illuminates and brightens skin complexion, while correcting uneven skin tone and promoting skin translucency. Infused with pure Botanical Mandelic Acid Complex (Bitter Almond) and Fresh Witch Hazel Water, known for giving a great brightening action to skin complexion. Helps to minimize, if existing, dark spots and helps reducing imperfections. Abnormal pigmentation, including melasma, post inflammatory hyperpigmentation, and lentigenes, improved quickly when treated with Mandelic Acid Complex. In combination with natural vitamins has multiple beneficial effects to skin. How to use : Apply morning and evening to targeted area after cleansing. Followed with Jeunesse Recovery Cream and apply a sunscreen daily. My verdict : I applied it as spot treatment, and it absorbed very well into my skin. I felt a biting feeling, but it went away after a few minutes. This is normal as the bitter almond acid is doing light peeling to renew and lighten my dark spots in the most natural way. Jeunesse Recovery Cream is an advanced Day and Night Recovery Cream for all skin’s types, especially for uneven skin tone. Infused with Pure Organic Linden Flowers’ and Grape extracts, proven to sooth and smooth skin complexion. 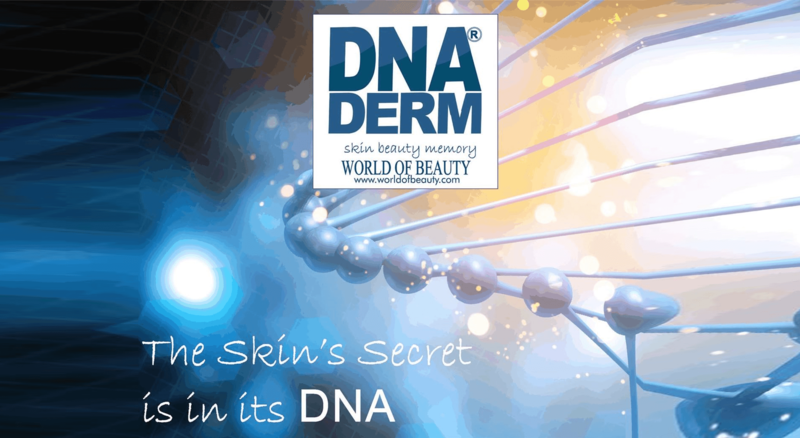 Revitalizing Mineral-rich formula helps to diminish the damages of skin cellular memory, caused by pollution, oxidative stress and UV rays exposure. How to use : Apply morning and evening after Jeunesse Recovery Gel. My verdict : Inside the cream, there are tiny brown bits, which is actually Avena Sativa (Oats) with exfoliating abilities to remove complexion-dulling dead skin cells. My face felt hydrated, and I liked the velvety finish, which was perfect for putting on makeup. With just a single application of the cream, I could also see my face become instantly illuminated, thanks to the shimmering natural minerals deposited on my face. VDI Detox Serum is formulated to perform intensive detoxifying, oxygenating action and to restore beauty, compactness, uniformity of the complexion and radiance to the skin. It contains various natural vegan extracts with high purifying and astringent, moisturizing, rebalancing and antioxidant properties, such as the extract of Royal Pineapple and Green Tea extract. My verdict : I used this serum for its detoxifying effects. It can also help to reduce face contour, eye bags and other cutaneous signs caused by water retention. I liked the fact that it also contains Centella Asiatica extract, known for improving circulation as well as the synthesis of collagen and skin tissue. I had sensitive skin and also signs of inflammation on my face, so in the evening, I applied MMP Remedy Serum, followed by VDI Detox Serum all over my face, including eye contour area. Next, I applied Jeunesse Recovery Gel on dark spots and Jeunesse Recovery Cream all over face and neck. In the morning, I applied MMP Remedy Serum all over my face, including eye contour area, and followed by Jeunesse Recovery Gel on dark spots and Jeunesse Recovery Cream all over face and neck. Lastly, I applied Suntegrity 5-in-1 Sunscreen SPF30. I could see my dark spots lighten in just 3 days. This morning, my face was so illuminated that I could ditch makeup foundation and powder in favour of this newly-found natural glow. You can read more about the causes of pigmentation here. June Lin Jun Yin is the founder of Juneberries Haven.